Philippe Coutinho is set for crisis talks with Barcelona manager Ernesto Valverde, according to a report in Spain. The former Liverpool forward, who joined the Catalan club for a club record fee of £142million last summer, has not had the desired impact at the Nou Camp and his future has been the subject of many rumours. According to Sport, the club hierarchy are concerned about the situation and Valverde will speak to the playmaker to try and figure out the cause of his poor form. Coutinho has scored once but has not created any goals in his last five appearances for the side. It has led to speculation that the Brazilian could return to the Premier League, with Manchester United, Chelsea and Liverpool all said to be interested. Meanwhile, Mundo Deportivo claim one of Juan Mata’s representatives travelled to Barcelona to discuss a potential move for the Spaniard when his deal expires in the summer. The 30-year-old was pitched as a potential replacement for Coutinho, though he has rediscovered his form under interim United manager Ole Gunnar Solskjaer and has reportedly been offered a new deal. Barcelona are hardly likely to offload a £142million record transfer just a year after buying him. No matter the financial loss involved, imagine the red faces amongst the hierarchy at the club. No, Coutinho is still only 26 and could still have a bright future at the club. After all, Lionel Messi and Luis Suarez are now both into their 30s so opportunities – and playing a more central role in proceedings – are likely to become more frequent for the likes of Coutinho and Ousmane Dembele. 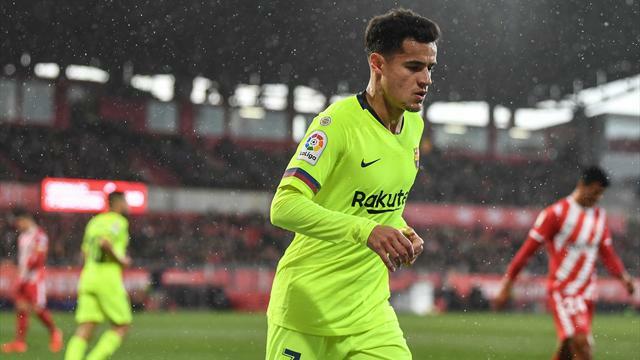 There may well have been talks between Coutinho and Valverde - but this will be an ongoing dialogue and the report seems to be making something out of nothing at the end of a pretty mundane transfer window.